Stromberg has a variety of decorative architectural brackets in GFRC to fit your needs; they can also craft a custom design for you. Your glass fiber reinforced concrete bracket can be sized so that it fits wherever you need it to; you’ll also have a range of colors, textures and finishes to choose from. Whatever the size or design of your architectural bracket, Stromberg will work with you to make sure it’s suited to your needs; they’ll also ship it to you quickly. You’ll get unmatched quality, service and selection when you choose Stromberg for your GFRC bracket. 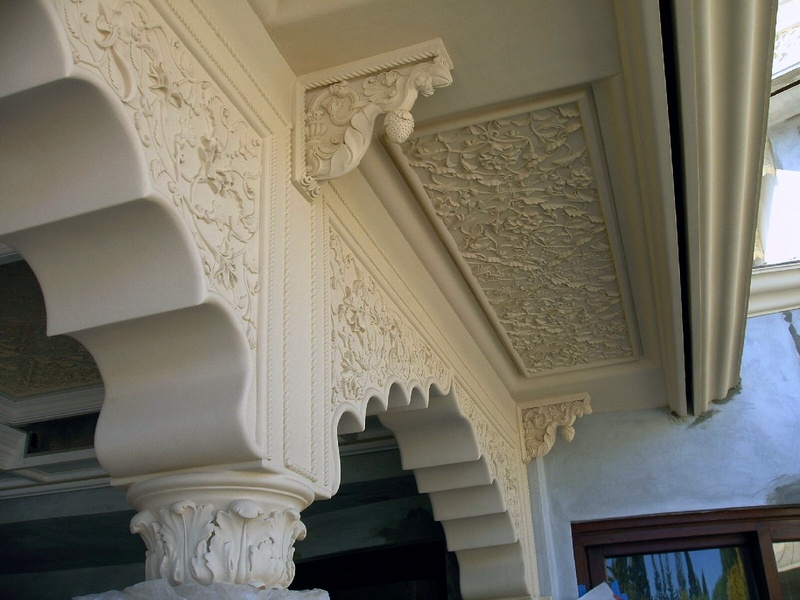 They have 30 years of experience working with glass fiber reinforced concrete, and are the world’s largest producer of architectural brackets. When you see the end product, you’ll be glad you chose Stromberg. Glass fiber reinforced concrete brackets are your best choice since GFRC is such a versatile material. It uses glass fibers for reinforcement instead of steel and is therefore much lighter in weight and easier to install. Your GFRC bracket will stand up to the elements like moisture and salt air, so you can place it on the interior or exterior of your home or building. The lightweight quality of GFRC makes it very easy to mount and keeps shipping costs down as well. Stromberg makes their brackets from molds, so any shape you can imagine is possible. They’ll also hold up much better structurally and add a refined touch to any setting. Stromberg’s past work with GFRC brackets can be seen in some of the world’s finest hospitality locations. They augment their brackets with elaborate scrollwork and several different kinds of textures, finishes and colors. If you like the look of natural stone, they can craft that look, or your brackets can be made with a simple integral color as well. Glass fiber reinforced concrete uses glass fibers instead of steel for reinforcement. Because of this, it won’t rust, so there’s no need for a protective concrete covering. GFRC is strong; it has a higher tensile strength than steel. GFRC is made of minerals so it won’t burn; it acts like a thermal regulator and protects the materials behind it from heat. Glass fiber reinforced concrete is a green product. The professionals at Stromberg Architectural Products will partner with you throughout your entire project, making sure your GFRC architectural bracket is exactly what you want. Stromberg is here to help with CAD details, design assistance and specifications. Contact them today at (903) 454-0904 and discover the excellence of Stromberg.